Throughout human history, people try to make the biggest, the fastest, and — sometimes — the smallest. [Hellmood] falls into the latter category and proves it with a 64 byte interactive 3D raycasting application for MSDOS. Why MSDOS? We suppose why not? The .COM file format is lean, and you can take over everything without a lot of work. If the program were huge, it wouldn’t be very impressive. There are 64 shades of gray which is odd looking these days, however there are versions that use various color palettes and each one fits in 64 bytes or less. There’s even mouse control and you can see the results in the video below. It is a great shame that back in the days when a typical home computer had easy low-level hardware access that is absent from today’s machines, the cost of taking advantage of it was so high. Professional PCBs were way out of reach of a home constructor, and many of the integrated circuits that might have been used were expensive and difficult to source in small quantities. Here in the 21st century we have both cheap PCBs and easy access to a wealth of semiconductors, so enthusiasts for older hardware can set to work on projects that would have been impossible back in the day. Such an offering is [Serdef]’s Tiny Parallel Port General MIDI Synthesizer for DOS PCs, a very professionally produced synth that you might have paid a lot of money to own three decades ago. At its heart is a SAM2695 synthesiser chip, and the board uses the parallel port as an 8-bit I/O port. The software side is handled by a TSR (a Terminate and Stay Resident driver loaded at startup, for those of you who are not DOS aficionados), and there are demonstrations of it running with a few classic games. If the chip used here interests you, you might like to look at a similar project for an Arduino. The Kickstarter we covered is now long over, but you can also find it on GitHub. It was the dawn of the personal computer age, a time when Apple IIs, Tandy TRS-80s, Commodore PETs, the Atari 400 and 800, and others had made significant inroads into schools and people’s homes. But IBM, whose name was synonymous with computers, was nowhere to be seen. And yet within a few years, the IBM PC would be the dominant player. Those of us who were around at the time cherished one of those early non-IBM computers, and as the IBM PC came out, either respected it, looked down on it, or did both. But now, unless your desktop machine is a Mac, you probably own a computer that owes its basic design to the first IBM PC. 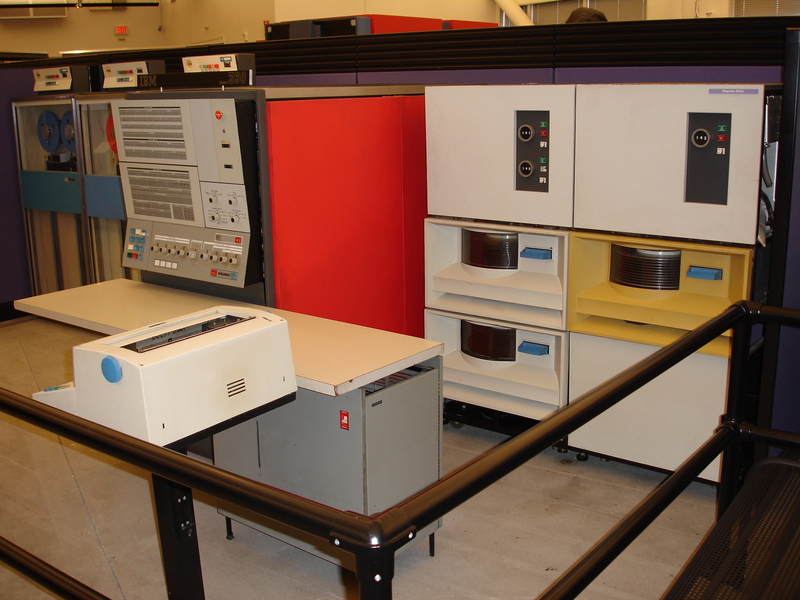 In the 1960s and 1970s, the room-filling mainframe was the leading computing platform and the IBM System/360 held a strong position in that field. But sales in 1979 in the personal computer market were $150 million and were projected to increase 40% in 1980. That was enough for IBM to take notice. And they’d have to come up with something fast. And yet, in just a few short years, IBM PCs dominated the personal computer market and the majority of today’s desktops can trace their design back to the first IBM PC. With even more built-in barriers which we cover below, how did the slow-moving elephant make this happen?